Life during World War II was especially difficult for those who were considered “aliens”. Mark Tedeschi reveals how an impromptu meeting with a tram conductor changed his grandparents’ lives. My father, Robert Tedeschi, was born in Turin, in northern Italy in 1922. Turin, of course, was the home of Fiat, and since the reunification of Italy in the mid 1800s it had been an important city, both economically and politically. My grandmother, Rosina Tedeschi, was a teacher of Italian, Latin and French, who ran her own private coaching college in their apartment home in one of the main streets of Turin. My grandfather, Guido Tedeschi, was a clerical employee who worked for his father, Attilio Tedeschi, who owned a large paint factory manufacturing domestic, industrial and artists’ paints in what was then the outskirts of Turin. Guido Tedeschi. Courtesy of Mark Tedeschi. 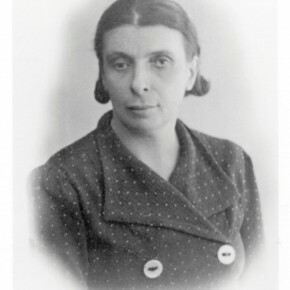 Rosina Tedeschi. Courtesy of Mark Tedeschi. Guido and Rosina, with their only child, Robert, left Italy in 1938, fleeing the discriminatory racial laws introduced by the Fascist government of Benito Mussolini. These had put an end to Robert’s excellent secondary education at the classical Liceo D’Azeglio in Turin. After a year in Switzerland, fearing that war was coming to Europe, Guido, Rosina and Robert came to Australia on the HMAV Orama, arriving in Sydney on 26 July 1939, just a few weeks before the outbreak of World War II. My father was just 16. Australia was a very different country in those days, with very little understanding of European culture or cuisine. Very few people knew what a cappuccino was, or a pizza. Once you ventured out of the capital cities, the best sit-down food you would generally get was a counter lunch at a pub, or a meal at a Greek milk bar or a Chinese restaurant. There was no such thing as pavement dining, and the standard fare in any Australian restaurant was roast beef or lamb with chips, vegies and gravy. No one had seen an avocado or an artichoke. The Australian wine industry was still in its infancy. The White Australia Policy was strictly applied, there were no government schemes to assist migrants, and very little leeway was given to those whose English was less than perfect. Rosina, the former language teacher, had completed a course in English while still in Italy, and she picked up more on the ship coming over, so that within a short time of her arrival she was speaking English quite acceptably. Robert, being an adolescent and having had a sound education before leaving Italy, quickly picked up the language and spoke with only a slight European accent. Guido, however, who was 47 when he arrived, and had not had the benefit of a classical education, failed to pick up much English at all and struggled to cope with the new country. During the month of August 1939, Rosina received three postcards from her brother who was travelling around Europe having a grand time. She must have thought to herself, “What on earth have I done coming here to the other side of the world?” and she became convinced she had made a terrible mistake leaving her beloved Italy. He produced evidence of having belonged to the Jewish faith, although an examination of his passport did not disclose the letter ‘J’. He is an Italian by nationality. Nothing of a detrimental nature is known to his general reputation locally. No doubt the authorities thought all Italians were Catholics and that there was no such thing as an Italian Jew, and that Guido’s explanation was suspicious and indicated that he posed a risk to national security. As a result, a formal order was made for Guido’s internment. From Long Bay he was taken firstly to an internment camp at Orange and then to another at Hay where he remained incarcerated. My father, who was not subject to an internment order, was able to visit him there several times. Over the next six months of internment, Guido’s physical and mental health deteriorated. He suffered from myocarditis and anaemia, and he became confused, disoriented and withdrawn. The distance from family, his almost non-existent language skills in English, and the occasional sandstorm served to isolate him further from most of the other people in the camp. On 25 February 1941 he was admitted to the Reception House at Darlinghurst, Sydney, and then transferred to Gladesville Hospital, where he remained for a lengthy period – still confined as an internee. By this time, Rosina was determined to secure the release of her husband from internment. For reasons that escape me, Rosina decided to seek the help of Archbishop Panico, who was the Apostolic Delegate from the Holy See (the equivalent of the Ambassador of the Vatican). I suppose she thought that at his level he would be able to verify to the Australian authorities that there had indeed been a Jewish community in Italy at the outbreak of the war, and to convince them that my grandfather did not pose any threat to the security of Australia. Although the Apostolic Delegate assured her that he would help, Rosina did not realise that the one thing that a foreign diplomat will not do is to interfere in the internal judicial or administrative processes of a foreign country. The Apostolic Delegate in fact did nothing to assist. By mid 1941, with her husband still unwell but slowly recovering with some good medical care and still subject to an internment order, Rosina was desperate to reunite her family. One day, she was in a Sydney tram going home to the rented flat in ‘Glenroy’ at 90 Drumalbyn Road, Bellevue Hill, where she and Robert were living. At that time, Bellevue Hill was an unpopular suburb because, being close to the coast, it was considered at risk of attack by the Japanese from the sea. On her way home, she mentioned to the tram conductor how her family had not been acknowledged as genuine refugees by the Australian authorities, resulting in her husband being unjustifiably interned, which had caused his health to deteriorate. The tram conductor became incensed and said to my grandmother: “I’m going to speak to my friend,the Premier”. To an Italian, for a tram conductor to say such a thing was an indication of insanity. In Italy, which was a very stratified and class-oriented society, a tram conductor would never be ‘friends’ with the premier of a region. The premier of New South Wales at that particular time was William McKell, later Sir William McKell — a highly respected man who had climbed to great heights from very modest origins. McKell was born to a working-class family in Pambula on the south coast. After moving to Sydney, his father deserted the family and, in very constrained circumstances, his mother became the family’s breadwinner. McKell obtained an apprenticeship and qualified as a boilermaker. He joined the Labor Party in 1908 and in 1913-14 was employed as a boilermaker in the Eveleigh railway workshops at Redfern, where presumably he befriended the tram conductor. McKell took great interest in the affairs of the Boilermakers Union at a time of protracted industrial unrest and eventually became an official of that union. He then decided to go into politics, and in 1917 he was elected to State Parliament representing the seat of Redfern, thereby becoming the youngest member of the New South Wales Legislative Assembly. He later represented the state seat of Botany. McKell was quickly recognised as a man of ability and integrity, and he eventually became Minister for Justice and later Minister for Local Government. 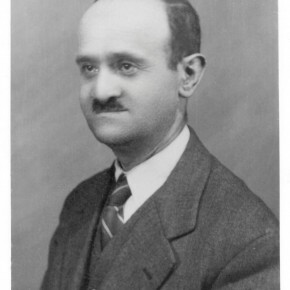 While in opposition, he qualified as a lawyer and was admitted as a barrister in 1925. In August 1939, he became Party Leader of the New South Wales Parliamentary Labor Party, while still in opposition, and won the May 1941 election to become Premier of New South Wales. The Objector, his wife and son, who are Italians of the Jewish race, arrived here in late 1939, having been forced to leave Italy, owing to the anti-Jewish legislation. Twelve days later, on 23 August, a formal order was made for his release. Guido was asked to sign a document with parole conditions, requiring him to reside with his wife and preventing him from seeking any employment. Guido, Rosina and Robert were finally reunited. 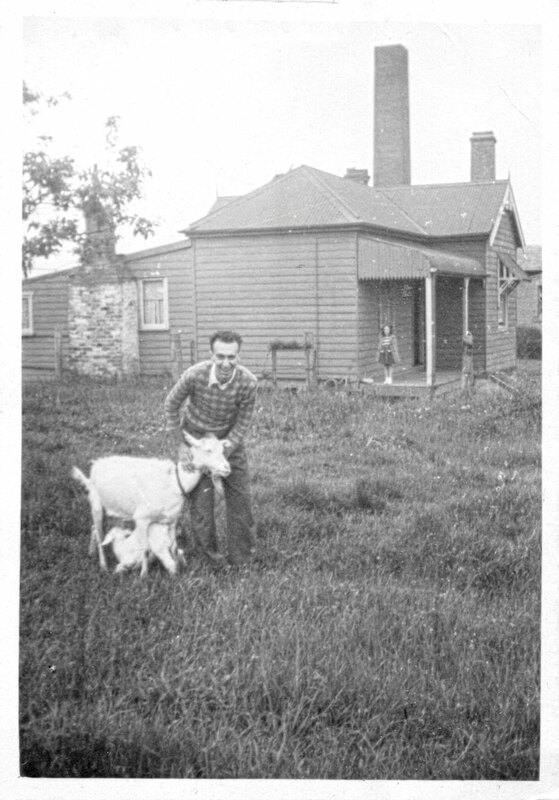 Soon after my grandfather’s release from internment, he and Rosina purchased a farm on an acre of land at 60 High Street, Bankstown, on which they raised ducks, chickens and goats. At first glance, this was a strange choice, given that they had had no previous experience in farming or agriculture. However, for most of his adult life, Guido had wanted to become a poultry farmer. In Turin, with an industrialist as a father, this had not been a realistic option. So, with the money that he still had left over from Italy, Guido was able to follow his dreams. Robert on his parents’ farm in western Sydney in 1941. Courtesy of Mark Tedeschi. He revelled in living on their own farm, however his health continued to deteriorate and less than two years after his release from internment, on 12 June 1943, he succumbed to myocarditis and passed away, leaving Rosina and Robert to run the farm on their own.